No one else offers reading glasses (or prescription glasses) with the Quality, Choice, Value, and Service that we do. I am a Licensed Dispensing Optician in the state of Virginia with over 30 years experience in the optical retail field. In 1988 I started working for a brilliant Sterling Optical franchisee who went on to own several stores in Northern Virginia. During that time I worked with some of the best opticians in the industry and we took our small stores to national award winning levels. I worked in management positions where I trained apprentices and managed multiple stores. I developed and ran a in-store surfacing lab, and have consulted on progressive lens development. It is estimated that to date, I have personally made well over 200,000 pairs of eyeglasses. I was also one of the first opticians in Northern Virginia to offer custom rimless eyeglasses (back in the early 1990's). In October 2010 I started ReadingGlassesEtc.com offering custom reading glasses and prescription eyeglasses online. In 2012 with the help of experts in lens dyes and filters, I developed a line of lens tints, (Mojo BluBlock Tints), that address blue light and computer vision syndrome issues. My goal continues to be to offer the widest range of affordable reading solutions for people that want better quality, as well as people that need post cataract glasses and specialty lens options. I do pretty much everything at Reading Glasses Etc. from crafting, inspecting, and shipping all of the eyeglasses, to customer service. For better or worse, I also handle all of the website design, graphics, logos, and web content. Steve is a member of the Opticians Association of Virginia. 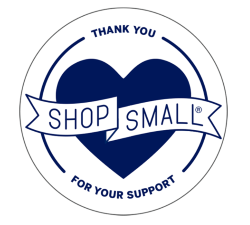 Steve and Rhonda support small business owners, as should you! Rhonda Mower (SPHR, SHRM-SCP, MSM, CDE) is Vice President of Culture & Diversity, Equity and Inclusion at Volunteers of America. VOA is one of the largest charity organizations in America. Rhonda has worked in Human Resources for some of the top companies in the world including Starbucks and Boeing. Rhonda advises on marketing, products, web development and much more.